for 50 years as legendary architect Louis Kahn's masterpiece, culminated in a ribbon-cutting on November 27 for the stunning new "Piano Pavilion" by Italian architect Renzo Piano, which has been placed across a beautiful formal green from Kahn's building, complementing it and "engaging it in a conversation." I was asked by the Fort Worth Business Press to write an analysis of the new building and what it means for the city, which appears below. 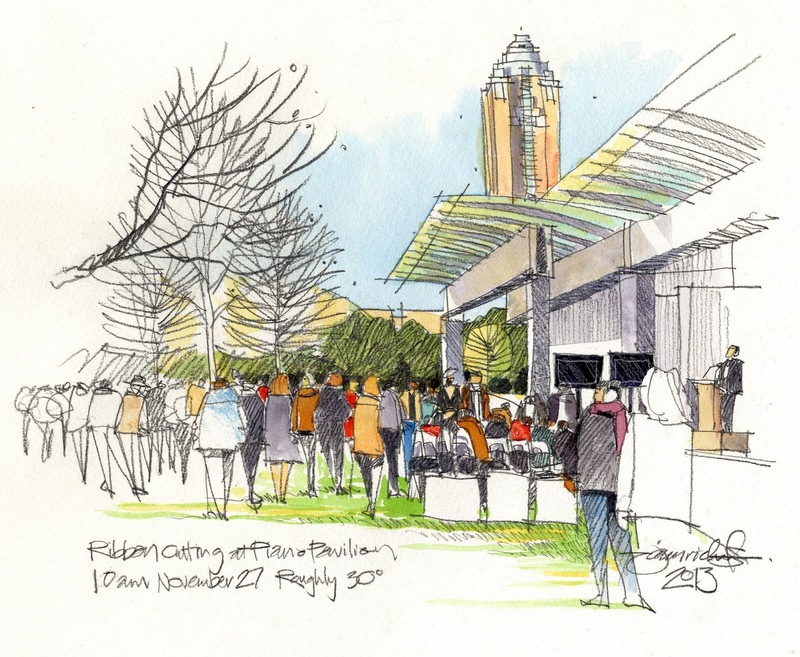 I made the location sketch at the ribbon cutting ceremony in below freezing weather. 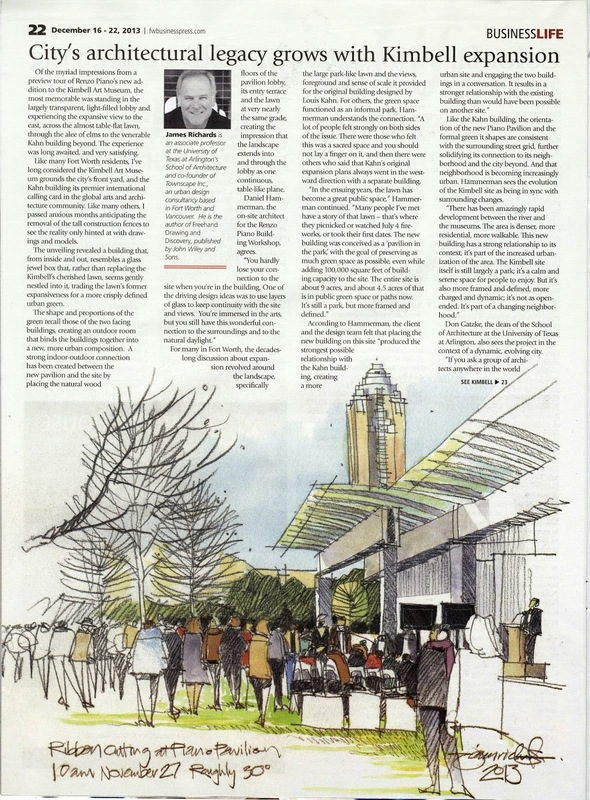 The sketch shows the new Piano Pavilion in the foreground from my vantage point on the new lawn, with the venerable 1933 Will Rogers Tower standing like a sentinel in the background...old welcomes new. Well done Jim!! I see a new career in "Sketch Reportage" in your future! Great Job! I love this kind of art work! 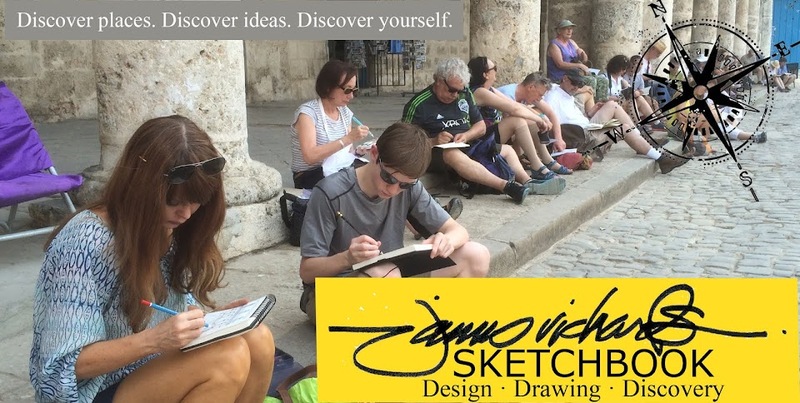 42nd Worldwide SketchCrawl in Fort Worth!